This is actually a re-release. But I loved it and figured it was a good reason to highlight it here. As I said before, there are two ways to read this series, as published, or by timeline. I can never quite decide if I think it better to read all the novellas first, or to read them in the author’s suggested order. But, since the novels have an overriding story arc, I do highly suggest reading those in order. And for this particular novella, you really do need to read Aiken/Laurenston’s Can’t Get Enough. You can find that one in Supernatural, which is available on Kindle Unlimited. 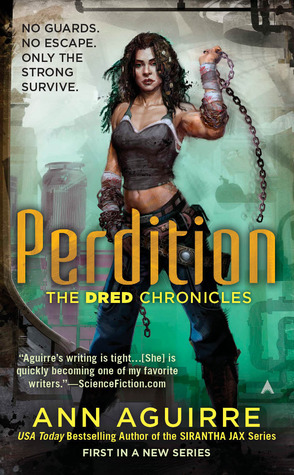 I adore this author’s heroines. One and all they are strong, and aggressive, and dominant. And often very, very warlike. It is interesting, and I’ve never figured out how she does it, but her female characters tend to exhibit mostly traits that alpha males are given, and yet they never feel like men that she’s slapped female names on. And they can say things like this that don’t even make you blink an eye. Ghleanna has been wallowing over a mistake in her personal and professional life, in a way no dragon warrior ever should. So naturally her no nonsense family members have decided to give her a job, and a quick kick in the rear to get her going. And Bram, poor Bram the Merciful, he has never been the type of dragon Ghleanna has gravitated toward. He’s a peacemaker, not a warrior or a fighter like the Cadwaladrs. But he has pined for her all these years that she has just never seen him. And it was freaking adorable to see the whole family, normally a rather oblivious family, try their hand at matchmaking. They were rather terrible at it, but that is OK, because this couple was pretty perfect for each other and all it needed was for Ghleanna to change her perspective a bit. There’s adventuring and warmongering, and politics and family, and two lonely people get to find out that opposites don’t just attract, sometimes they complete each other. What’s a a warrior to do with a peacemaker? Same thing an innocent did with a slag, make him yours. 4 stars and I highly recommend the entire series. This is the third book in the series. While I do think this can be read as a standalone, I have read the previous two and enjoyed them, and I think it does make the characters more meaningful, so I highly suggest reading this series in order. As I have said before Cynthia Eden’s books are like crack for me. They are addictive, with a quick short high, that doesn’t last long, and leaves you scrambling for the next one, often with very little memory of that previous high. Fortunately for us readers, book crack is not in fact actual crack, and so we are free to indulge as we please and as often as we please. LOST, Last Option Search Team, is a group that finds the missing. All the members have their demons, their secrets, for why they ended up where they are now. Dr. Jacobs secrets seemed to be darker, the way she can put her self into the minds of killers and the hints about her past, and that seeming couldn’t have been more true. I’ll admit though, I was kind of hoping she’d end up with guilt stricken good guy Wade, but this was so much better. So let me get the negatives out of the way first. For those who are bothered, this is sort of insta-love, or at least insta-lust. Granted it started in the previous book, but that only adds a couple of days to their relationship. It worked fine for me, but your mileage may vary. There was also a rather lackadaisical approach to birth control that I was less than pleased with. But that is my particular hot button, so again, YMMV. But on to the good. This book was a roller coaster of twists and turns. Just absolutely dozens of twists and turns. By the end of it was completely shocked by who the villain turned out to be, and that doesn’t happen too often. I may not completely guess, but they are almost always on my radar. This one just hit me with several blind sides. The chemistry between the two main characters was smoking and sweet. We got just enough glimpses to be sure previous couples were still on the right path to their happily ever afters without it being so much that it overwhelms the current story, or that I think it would be intrusive to new readers. And like I said, the action and the mystery kept me absolutely riveted. Eden’s romantic suspense don’t usually hit my re-read shelves, they just aren’t that compelling or deep. But they are always consistent and I devour them gleefully because she never lets me down. She’s probably also one of the more prolific writers on my must read list with over 60 titles between her paranormal and her romantic suspense lines, and I haven’t had a true dud yet. So for a book crack dealer, she’s always my best bet. 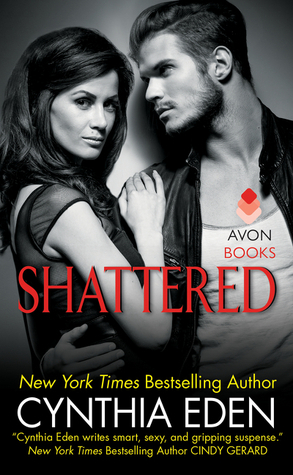 Shattered is great addition for the addicted, and I can’t wait for Victoria and Wade’s respective stories. Award-winning author Cynthia Eden writes dark tales of paranormal romance and romantic suspense. She is a New York Times, USA Today, Digital Book World, and IndieReader best-seller. Cynthia is also a three-time finalist for the prestigious RITA® award. Since she began writing full-time in 2005, Cynthia has written over fifty novels and novellas. So this is day three of the three day quote challenge (can I say how glad I am to get this out of the way, so stressful), which I was nominated for by Wendy Vickers Black. Her blog is absolutely hilarious and heartfelt, you’ve simply got to check it out, it is one of my favorites. And probably this is another surprising quote, because when it comes to quotes in books, they don’t always stand alone, it is all the context and the emotions in the book that really give it meaning. Publish a quotes on 3 consecutive days on your blog. The quote can be one of your own, from a book, movie, or from anyone who inspires you. Nominate 3 more bloggers each day to carry on this endeavor. I love this book, I love this series, and I love this quote. So fun facts about this book, it features a heroine who isn’t the central one of the series, and I love when authors manage to get me to care about more than just the main hero and heroine in a series. And of course it is well known that I adore this series. But what really gets me on this particular quote is that this is a strong female character. She is a badass, a tough shifter who is an expert marksman and takes no guff off anyone. And she still winds up hiding in the closet sometimes, but better yet, it doesn’t detract from her kickass personality at all. And I don’t know about anyone else, but I need characters like that. Willfull at A Willfull Woman… Who has wonderful taste in books and is one of the most ethical readers I know. Books Are My Reality Who has a quirky sense of fun and no shame (rightfully so) about anything she likes to read. 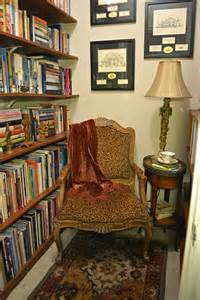 And Monica over at Coffee and Bookaholics who posts interesting things as well as gorgeous pictures on top of her lovely book reviews. Be sure to check them out, they are all blogs worth devoting some time to. So this is day two of the three day quote challenge which I was nominated for by Wendy Vickers Black. Her blog is absolutely hilarious and heartfelt, you’ve simply got to check it out, it is one of my favorites. And I think you might be surprised by this quote. This just resonated with me, as did the entire series. Who says genre fiction can’t also be literary fiction? Certainly not Ann Aguirre. I highly recommend it, and if I were bolder and less afraid, I’d nominate her to see what quotes she came up with. 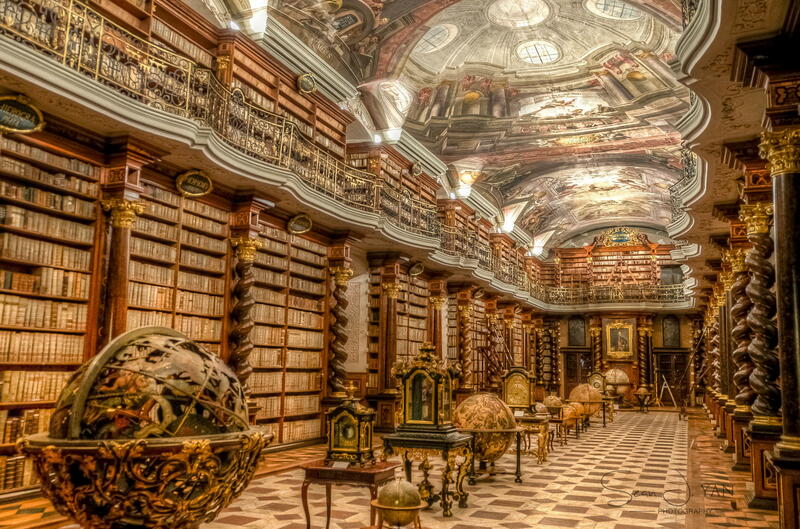 All great and interesting blogs hosted by individuals who are passionate about books! Seriously, are there any better types of people to get to know? So I have been nominated for the three day quote challenge by the evil woman Wendy Vickers Black. Her blog is absolutely hilarious and heartfelt, you’ve simply got to check it out, it is one of my favorites. Of course she is still an evil harpy because the fact that I have read so much DOES mean I have a lot of great quotes, too many for a measly 3 day challenge (seriously though, no one nominate me for a 100 quote challenge, I’d die). I had to delay a bit because where does someone even start on something like this. Nervous Nell Justice over at One Book Two Book – Nervous Nellie’s nervousness necessitates knowledge of the novel (in other words, SPOILERS!) and i can so relate. Anna over at Herding Cats and Burning Soup who is an excellent book blogger, a lover of cats, and -for good or for ill- one of the amazing ladies who has nudged me more into the social side of book blogging. And R.S.A. Garcia who has written Lex Talionis, a book I really enjoyed, and who always posts some of the most interesting things on her blog. All very excellent blogs that I think you’ll enjoy and that i am curious what quotes they’ll come up with, so everyone should stop and check them out! This book is available on OpenLibrary, but since I am re-reading my own copy I am unable to vouch for the integrity of the scan. This is the sequel to The Secret, and the hero of this book is the rough, tough and growly Brodick, featured heavily in that book. Don’t you just love a good growly hero? Gillian the heroine is also a strong, capable, (are you starting to see a pattern in Garwood’s heroines?) and wily heroine, and there is a delightful friendship between her and another woman, which as I have previously mentioned, is an aspect I enjoy in my reading. But really? I have to be honest, Brodick is who makes this story for me. He’s such a delightfully crotchety and recalcitrant hero that I could just eat him up with a spoon. Also, the plot is much more exciting than the previous story. 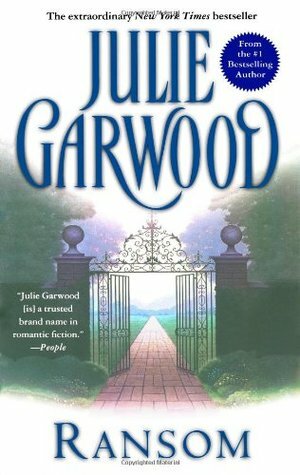 This particular story is unique in that there are actually a couple of different mysteries to be solved, and you can definitely see in this story how Garwood was starting to transition to romantic suspense. Ransom was published December 1999 and then one month later, as far as I can tell, is when her first romantic suspense was published. And she’s only published one more historical since she started writing romantic suspense, the conclusion of this series, which neatly ties in to the contemporary romantic suspense series. There are actually a few Easter eggs for fans of her historicals in her current series. The crux of the story is that Gillian is on a mission to go into the highlands to find her missing sister and a box belonging to the king of England. There is a mystery tied to the box and the villain of the story, Baron Alford, needs to obtain it in order to cover his crimes, and is holding Gillian’s uncle hostage to ensure her cooperation. Meanwhile, Laird Ramsey is having unrest in his own clan as he attempts to merge a smaller, leaderless clan into his own (at their request), and a young boy has been stolen and brought to Baron Alford for nefarious purposes. So, Gillian decides to rescue the boy, bring him back to his family, find the treasure, and rescue her uncle. Fortunately for her, the child she rescues has Brodick for a protector. And that is not even the half of it. Writing it out like that makes it seem preposterous and ridiculous, but let me tell you, somehow it all seems very reasonable while you are reading. The banter though, that does tend toward the comically ridiculous, but in a good way. It is funny, not laugh out loud funny, more giggling funny, but funny nonetheless. Evil doers get their comeuppance, good guys win, true love prevails-even for the curmudgeonly, and all that jazz. This is a happy, fun book that that isn’t just about the two protagonists. It is another one that makes my comfort reads. This book is available at OpenLibrary, however, I am rereading my own personal copy so I can not vouch for the integrity of the scan. 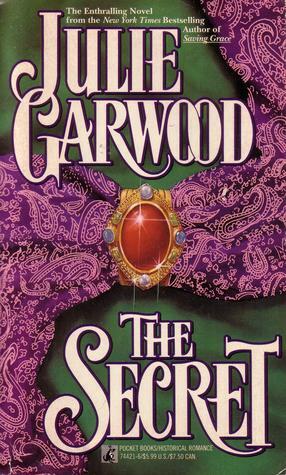 This is another Garwood historical with a strong capable heroine, which is something I always enjoy reading. But what struck me most about this book is that while it is a romance, friendships, particularly between women, is a large part of the plot. I can’t for sure say this was the first romance I read with strong relationships outside the romantic leads, but if not, it was probably close and it is the one that has stuck with me all these years. Once upon a time, in a land that vaguely resembles historical Scotland, an English girl and a Scottish girl became friends before they ever knew there was reason for enmity. Judith was a solemn little girl with a miserable mother and a drunkard of an uncle for a guardian, but she had a loving aunt and uncle and that is how she ended up at a border festival to meet Frances Catherine. Frances Catherine had two names, because she was named after her mother and her grandmother who each died from child-birth and were not buried on holy ground because they were considered ritually unclean, and so her father wanted her names to remind god of those women. It also, quite naturally gave her a fear of child-birth. So Judith made Frances Catherine a promise to find out everything she could about child-birth, and to attend her when her time came. And that is where the conflict of the story comes into play. Frances Catherine wound up in the highlands and her husband’s promise is one that his brother, the laird, felt bound to honor it. He, like all the men in this piece doesn’t get that women can be trusted friends. Needless to say, Judith comes as quite a shock to the system. Shocker of all shockers, Judith is a proto-feminist. She’s also something of a Mary Sue, good at everything and capable of making friends with everyone. But she was so unpretentious without being down on herself that I didn’t even care. And while the romance with Ian was very sweet, the star of this particular book was her relationships with all the women in the clan. Judith changes everything, but relatively gently, not coming into a different culture and telling the women what they are doing wrong. She just started making friends, presenting opportunities, and standing up to the men. If ever there had been a feminist uprising in historical Scotland, this is a way I could imagine it happening. There is even a very woman-power, female solidarity scene at the end that still gives me the warm fuzzies after all these years. In the end Judith finds family, love, friendships, and makes a place for herself, all with her own irresistible charm and pragmatic take on life. I revisit her story again and again.